Sony has successfully pipped Microsoft this month, having sold 20,000 more PlayStation 3s than Xbox 360s in the US over the month of May, according to the latest NPD data for May. 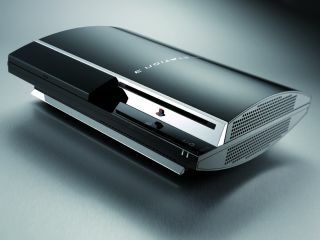 Sony sold 208,700 PS3s in the US in May while Microsoft sold 186,000 Xbox 360s over the same period. However, it should also be noted that Nintendo’s Wii continues to outsell both the PS3 and Xbox 360 combined in the US, having sold 675,100 following the successes of Mario Kart and Wii Fit. Healthy PS3 sales were clearly down to the release of Grand Theft Auto IV. Jack Tretton, president and CEO, Sony Computer Entertainment America (SCEA), said that the GTA 4 PS3 attach rate "reaffirmed its legacy on the PlayStation platform". "Leading into a pivotal season packed with blockbuster titles and unique online service offerings, consumers have chosen the PS3 as their home entertainment console of choice - showcased by its year-over-year sales growth of 155 percent. "With its commanding line up of software titles and enhanced movie playback capabilities, the PS3 has seen phenomenal momentum with a software sales increase of more than 234 percent and additional studio support of delivering content in the Blu-ray format," added Tretton. "The dual platform release of the much anticipated Grand Theft Auto IV title reaffirmed its legacy on the PlayStation platform with a 6 percent higher attach rate than Xbox 360, reinforcing consumer choice of PS3. "Poised for continued momentum, PS3 is delivering on its breadth and depth of exclusive titles to its gaming fans with today's prized exclusive title launch of Metal Gear Solid 4. The media have hailed 2008 as the year of the PS3, and with solid sales and growth opportunities ahead, we feel consumers are saying the same." Microsoft responded to NPD’s May US sales figures with its own spin claiming GTA 4 on 360 outsold the same game on the PS3 by a ratio of 2:1. with Rockstar managing to shift 871,000 copies of the 360 version of GTA 4 in the US in May. "Xbox 360 continues to lead the industry with a record-breaking software attach rate of 7.7," Microsoft said in a statement, adding that the Xbox 360 had 12 games in the latest top 40 with a Metacritic score of 90 or higher, "more than PS3 and Wii combined". "Last month we showcased an all-star line-up of games including Gears of War 2, Fable 2, Banjo and Kazooie: Nuts and Bolts, Viva Piñata 2 and Too Human. We still have quite a few aces left up our sleeve; see you at E3 next month!"